Ireland Lacrosse will be holding a number of Irish senior men’s national team selection events in 2017 – in New York, Boston and Dublin. These events will be used to select the Irish men’s senior national team (field) which will compete in the 2018 World Championships in Netanya, Israel (12-21 July 2018), and they will also be used to select the Éire team which will be competing in the ‘Festival’ tournament taking place alongside the World Championships. To register, players must complete the Ireland Lacrosse Tryout Registration Form. Please designate which of the three events you intend to attend (player-candidates should only attend one event). It is recommended that players based outside of Europe attend either (not both) the New York or Boston event, and players based in Ireland and the rest of Europe are advised to attend the Dublin event. Where a non-European-based player wishes to attend the Dublin event, they should email info@irelandlacrosse.ie outlining the reasons why. Based on performance at these events, selected players will be invited to Dublin to participate in a Final Tryout/Training Camp at the end of October 2017. Following this, final selection will be made for the 2018 Irish national and Éire teams. Attendance at the Final Tryout/Training Camp is mandatory to be considered for selection for either the Irish national team or the Éire team. The Ireland Lacrosse – National Team Vision provides information regarding Player Eligibility and the Player Selection Policy. 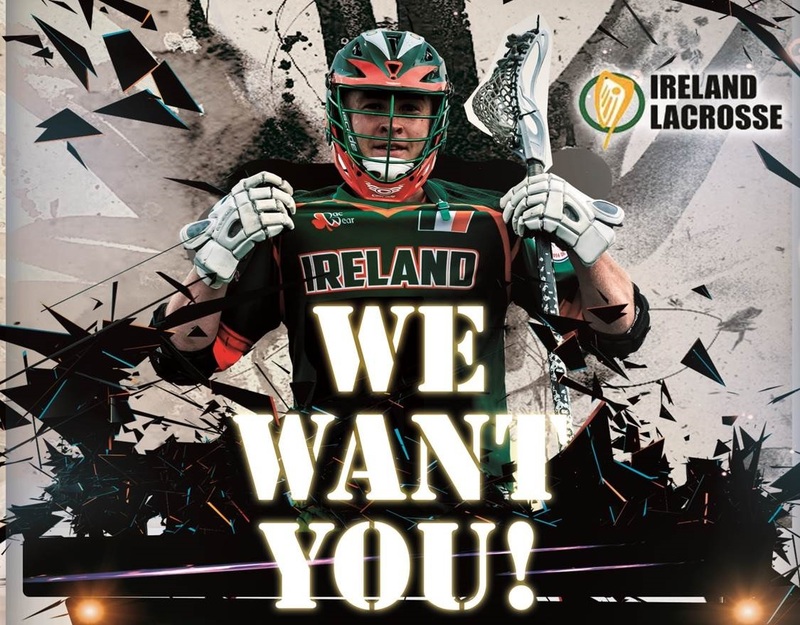 In order to participate in any Ireland Lacrosse events, including any tryouts, you must also be a registered and paid member of Ireland Lacrosse. You can register for Ireland Lacrosse membership through the Ireland Lacrosse Membership Registration Form. The Tryout Registration Fee for the New York and Boston events is €100. The Tryout Registration Fee for the Dublin event is €20. Selection the relevant fee below and click the ‘Pay Now’ button to make this payment. Payment must be made in advance of participation in the events. Even if you don’t qualify for the Men’s National Team, you can try out for the Eire team. I would like to advise you of my nephew Aidan Vizi who is an exceptional Lacrosse player. He is an Irish citizen but has grown up lived and plays in the USA in the state of Connecticut. He is a very strong LSM. He is currently entering his last year in high school and plays in the Connecticut Interscholastic athletic conference. Aidan went to the under armour American conference day. Aidan has been recruited pre junior year by a number of leading lacrosse colleges including Holy cross , Acquinas, Ancilla , JOhnson college , Hood college, Suny jefferson and Concordia University amongst others. he is currently making his choice from amongst these fine a educational institutions and leading sporting programmes I feel he is a strong contender to be to an excellent addition to the team. I eagerly await your reply regards Edward. We missed the tryouts in the US, but my son would be very interested in trying out/playing for Ireland. My son, John Patrick Marrs is 15 years old and is an Irish Passport holder. He plays for the Laxachusetts 2021 team and will play for Dexter High School. I am not sure if he is Too young for your team, but he is a lefty long pole Defenseman and is 6’1″ 165lbs. If he can add value, please let me know, and we will register. If not, you will see us at tryouts next year. Just sent you an email regarding possible future events that your son may be eligible for. Any more spots open. My son plays for UAlbany Lacrosse and is 18. Could actually become an Irish citizen. Hi Michael I am following up about my son Aidan Vizi whom my brother had mentioned. His date of birth is April 7th 2000 and he does have an Irish passport. He is a senior this year, and I would love to get some information about the team and tryouts. Hi Jane – we also got your email and will respond directly that way! Where can I find info for 2019 team ? We will have 4 teams (potentially) competing in 2019: women’s senior (European Championships), women’s U19 (World Championships), men’s indoor (World Championships), men’s U20 (European Championships); which one are you interested in?